This is the picture Don showed CC Beck at the Phoenix Con '72. Beck was impressed by Dons artwork, but was not sure that Don had actually drawn the piece. Don pencils in four more heads while Beck watches, proving that he did indeed create the artwork. Beck was impressed. Shot from the original which is part of the Howard Siegel collection. Beck and Newton hit it off almost immediately. The reasons for their mutual interest in each other was obvious; C.C. was an idol figure of Don’s childhood, the creator and keeper of Don’s favorite character. In Don, Beck found a young and vibrant contemporary artist who still respected the “old ways” of drawing comics. After the Con, Beck was Don’s houseguest for several days during which they planned their first collaboration, a book on how to draw comics. This project never went beyond the planning stages, but it kept Don and C.C. in constant contact at the time. A month later Beck receive a script by Denny O’Neil that Denny had been asked to produce for National Lampoon. 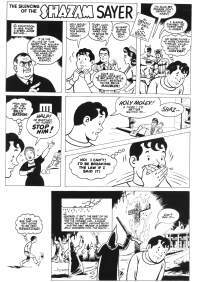 The strip, entitled “The Silencing of the Shazam Slayer” dealt with the ramifications on Billy Batson of the DC Comics vs. Fawcett Publishing lawsuit, which claimed that Captain Marvel was a violation of DC’s Superman copyrights and eventually led to the closing of Fawcett Comics. 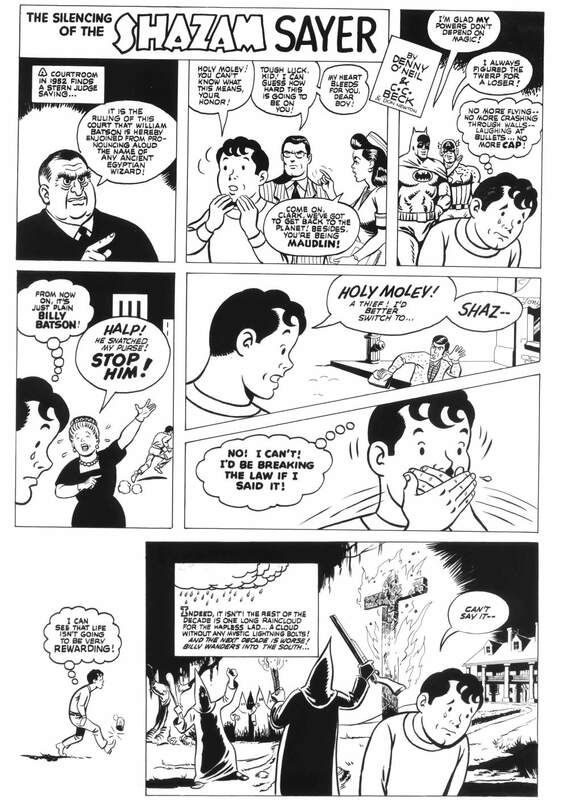 In the strip, after being told by a judge that he must never say Shazam again, a sad and dejected Billy Batson is seen during the fifties and sixties, viewing cross burnings in the south, the Watts riots in California, protests against the Viet Nam war on the Pentagon steps, and the fighting in the streets at the Democratic National Convention in Chicago. In each case a tearful Billy bemoans the fact that he is legally barred from uttering the magic word that would transform him into Captain Marvel. Although Beck did the layouts, Don did the artwork in what Don referred to as his “Beck style.” This style had a bit of Will Eisner influence in it as well, particularly in Don’s drawing of background characters. These pages are from the never published "The Silencing of the Shazam Sayer" and are Don pencils and inks over C.C. Beck's layouts. This strip, written by Denny O'Neil was created for the National Lampoon Rolling Stone. 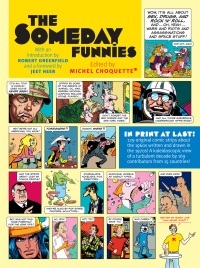 This is the dust jacket to The Someday Funnies where Don's C.C. Beck ghost job finally saw print. 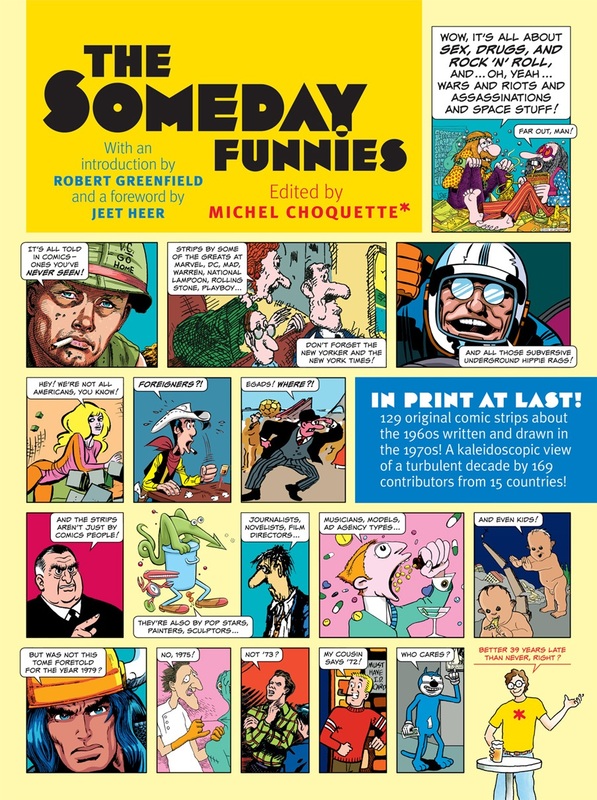 The strip was not done for National Lampoon, of which it is true I was an editor at the time (though not the Art Director as you state), but commissioned by me for a history of the 1960s in comic-book form I was assembling at the time. The publisher was to be Rolling Stone. When they backed out of the project, Harper & Row stepped in, but in the end backed out as well. The marketing people just couldn't figure out what to do with what had become a most eclectic collection of contributors. So I was left holding the bag, with 129 original strips by 169 unpaid artists and writers. For a few years I tried to raise money to publish the book privately, but did not succeed. Forced to abandon the project, I put all the artwork safely in storage where it remained until a 2009 article by Bob Levin in the Comics Journal aroused the interest of publishers. You may know all this already, in which case you will also know that the book finally saw the light of day when it was published by Abrams eight months ago. Beck's homespun advice to Don, which you quote on the site, is amusing to read. But just for the record, Beck was paid, though only a few months later. I still have on file my processed check to him for $100.00 which he deposited to his Miami bank account on December 21, 1972. Beck happens to be one of the two or three contributors to the book who were paid in the 1970s. This may be because Beck asked me at one point to pay him so that he could pay Don. But I had no arrangement with Don, having discussed payment only with Beck. Whatever Don's fee was to be was something arranged between the two of them. Whether or not Beck paid Don I have no idea, but I imagine he must have. This is the only known page from when Don practiced his “Beck style” in anticipation of working with Beck on Shazam! The name of the Catholic Church is an inside joke. Don lived in Scottsdale, Arizona near "Our Lady of Perpetual Help." John Clark, who was Don's greatest friend, used to joke about the name calling it "Our Lady of Perpetual Motion," much to Don's amusement. Shot from Photostats sent by Don to Howard Siegel. As Beck's letter indicates, Beck saw Don as his apprentice; a role Don was eager and honored to take on. When DC decided to revive Captain Marvel, Beck asked Don to start practicing the “Beck style” in anticipation of Don working on the new Shazam! book as his assistant. Beck knew that it would be difficult for him to complete the book on a monthly basis, and saw Don as his “ace in the hole” for handling those issues that he could not do himself. Evidently, Beck felt the need to clear the use of an assistant with DC before proceeding with his plans. Don mentioned in a letter to Howard Siegel, “the only thing that can shoot me down is DC… and after all, it’s their money!” And that is apparently what happened. 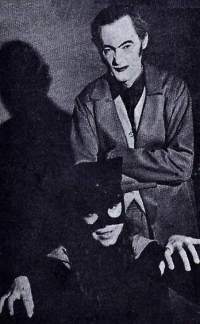 Although Don did not become Beck’s assistant, their relationship did not end with Schwartz’s decree. As Beck began work on the new Shazam! Book, he was quite disappointed in the scripts he was getting from Denny O’Neil. O’Neil himself has admitted that he didn’t think he was the right choice for the job. Elliot Maggin was then brought in to write a few scripts, because of the “lighter” touch that he brought to Superman. DC felt this would suit Captain Marvel well. Beck was still not satisfied, and insisted on controlling the Shazam! book in the same manner that Jack Kirby had been allowed to do with the Fourth World series, to the point of editing the book himself and running it completely. He turned to Don for help and Don, in turn, called upon his friends Bruce Hamilton and John Clark for assistance. The three of them all sent Beck plot ideas for Captain Marvel stories, and Beck was very impressed with the results, particularly with the plots by Don and John. Bruce Hamilton had a separate agreement with DC Editor in Chief Carmine Infantino, because of previous work that Hamilton had done for DC (he drove their ill-fated “Comics Mobile” in the southwest, for one) and his plots were submitted under his own name. It was well known at the time that Beck was unhappy with DC’s “modernizing” of Captain Marvel. Even the addition of Maggin, which DC felt would move the series more in the direction Beck wanted, was not enough to please Beck. He felt that DC just did not “get” the character of Captain Marvel. Eventually the plots made their way to the desk of DC Editor E. Nelson Bridwell, who would later become the head writer on Shazam! 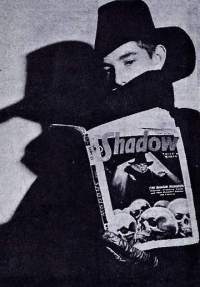 Beck did not hide the fact that Don and John were providing the plot ideas for his stories and in correspondence with Beck, Bridwell would refer to Don and John as “the boys.” Beck was very up front with the fact that he was “not an idea man and [that he had] never come up with a creative idea. But, give me an idea and I can flesh it out run with it.” Bridwell was optimistic that a couple of Don and John’s plots could be worked into stories. But this was in late 1973 and Beck’s relationship with DC was quickly deteriorating. In the end, Beck and DC split and without Beck’s involvement, there was no chance that DC would buy any stories from either Don or John Clark. If you like bombshells, here's one: I am going to be taking over.............Captain Marvel! More over, Jack Harris sez to draw it realistic! Finally they bring him up to date... I'm going to get rid of his "wet look" and trim him down about 10 lbs.! I've felt for sometime, that the "funny" Captain Marvel belonged to the forties and just doesn't come off now. I trust the stories will now be in keeping with the art. So, I've "arrived"... where else can I go? His first effort was in issue #35 of Shazam!, which also ended up being the final issue of the book. Don penciled the 17-page story, "Backward, Turn Backward, O Time in Your Flight! ", which was written by E. Nelson Bridwell and inked by Kurt Schaffenberger. Don wrote Howard about this first story, "You probably already know that Schaffenberger inked my first Capt. Marvel story -- strange combination, though he's a very good inker." What is wonderful about Don’s first professional Captain Marvel story is the way he reverted to his fandom, crosshatched detail style of penciling, which was missing from his Aquaman and New Gods work. The icing on the cake though was how Kurt Schaffenberger managed to retain this aspect of Don's pencils, while simplifying it with his own superb style. The combination was unique and effective. In his first few issues, Schaffenberger’s inks, though very good, removed a lot of the Newton style in the faces and anatomy. However, Kurt and Don quickly got into a wonderful rhythm, turning out some amazing work together. Don penciled very tightly and Schaffenberger inked every line like it was drawn. Schaffenberger's issues contain some of the tightest inking Don’s pencils ever received. The end result was very close to what Don’s penciled pages actually looked like, even closer than Dan Adkins’ great work. Kurt Schaffenberger remained the inker on the strip for a year, turning in one beautiful job after another. Dave Hunt replaced Schaffenberger after that year, and did a very nice job of inking Don’s work for the next few issues. When Hunt was re-assigned as inker, the strip became a “revolving door” for inkers. Though some of these inkers worked well with Don’s pencils, unfortunately, others did not. During this time both Dan Adkins and Frank Chiaramonte provided some excellent inks for the strip. 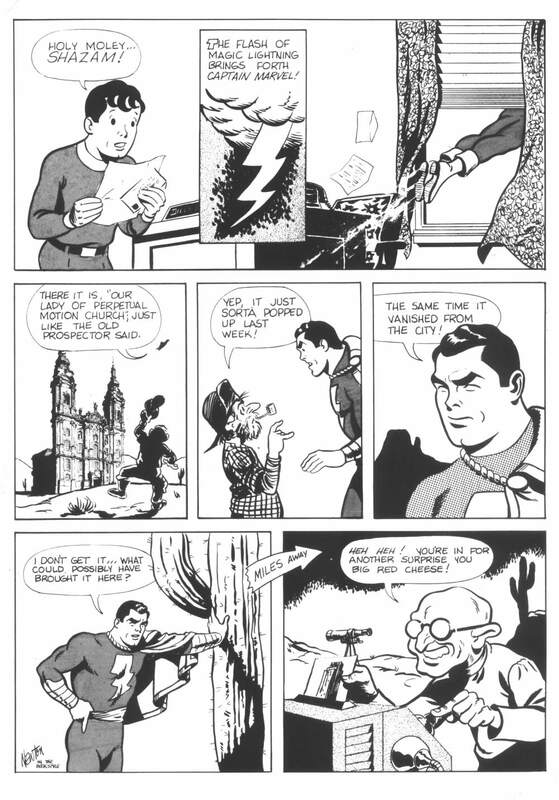 Although Schaffenberger left the strip, Bridwell never did leave and he ended up writing all 31 Shazam stories that Don would draw. Shazam! was not a popular feature among the writers at DC, because of it’s rather “checkered” past. However, Bridwell was a good choice for the assignment because he had the historical knowledge of the character, the writing ability to handle it and a real, heart-felt appreciation of the Captain Marvel history. He kept the strip interesting, shifting from pure Captain Marvel stories to stores featuring the entire Marvel Family. He didn’t back down from using all of the characters that had made Captain Marvel great in decades past, even if they seemed out of touch with the 1970’s. Schaffenberger’s final issue was “the Secret of Mr. Tawny” in which Bridwell brought the talking tiger into the more realistic Captain Marvel universe he was creating. In ten short pages we get a retelling of Mr. Tawny’s origin, the creation of a new villain, a short bout with Captain Marvel, and a neat conclusion. 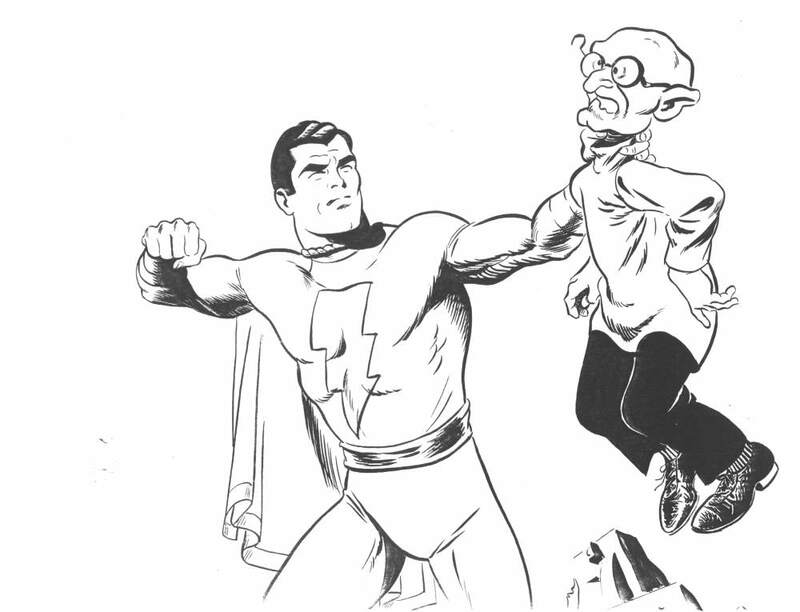 This story is a great example of how Bridwell and Don were recreating the Captain Marvel Family universe. Don was able to meld all of his talent as a heroic, realistic artist with his love of these characters that had been such a big part of his life since childhood. The result was a redefinition of the character that allowed Captain Marvel to flourish once again. owever, not everyone was enamored with the changes going on with Captain Marvel at DC. C.C. Beck saw the "modernization" of his beloved Captain Marvel as a personal affront to his style of drawing and story telling. 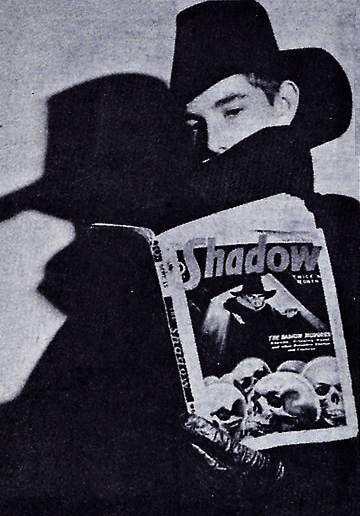 When Beck had first become involved with the Captain Marvel revival, he had made demands to DC about the book; he simply hated anything that modernized the character. DC’s feeling was that the character needed to fit more into the 70’s, or the readers of that time would not accept the character. Beck’s vision for the new Shazam! title had a Captain Marvel who was permanently "stuck" in the 1940's; the book reflecting a "40's version" of the 1970's, i.e. no real referencing of the times, and certainly nothing "hip" or relevant. No matter how much both DC and Beck tried, they just could not meet “eye to eye” on Captain Marvel’s direction, which eventually led to Beck leaving as artist of the title. After Beck and DC parted ways the look of the book did not drastically change, as Schaffenberger and Bob Oksner had already learned to do their own version of the "Beck style" earlier, through backup and fill-in Shazam! stories. When Don was given the art assignment for the book, both Don and DC turned their backs on Beck's vision for the Big Red Cheese, which most likely hurt Beck. The “evil empire” at DC had somehow swayed Beck's protégé over to their way of thinking. The man that Beck had at one time expected to assist him in returning Captain Marvel to his former glory was now a willing participant in what Beck felt was the destruction of “his” character. After the publication of Don's first Shazam! issue, he received a scathing letter from Beck, which was not totally a surprise for Don. Don expected Beck to hate the new look of the book, but he was surprised that Beck chose to blame Don for so much of it, especially considering Beck’s previous problems with DC, which had never really gone away. Don was also surprised that Beck had even bothered to take the time to write to Don at all as the change was a DC editorial decision, not his own. Don expected that Beck would understand that DC had asked him to do this style, but by this point, the years worth of frustration Beck had regarding DC had taken its toll; Beck blamed Don personally for the whole thing. When Don had become a professional and eventually ended up at DC, Beck had made it clear to Don that he thought Don should stay away from Captain Marvel because of his previous association with Beck. When Don was actually offered the book, Beck expected that Don would turn down the assignment. Don, however, had other ideas. This was Don's dream job. He was being asked to add his own vision to the legend of Captain Marvel, which was something that he had wanted to do since he was a child watching the Saturday Morning Captain Marvel serials. Don expected Beck to be realistic and to understand that 1) Don had wanted to draw Captain Marvel since childhood so turning down the assignment was not an option for Don, and 2) the changes being made to the character were at the direction of Don’s bosses at DC. Unfortunately Beck was neither realistic nor understanding. Don eventually grew very angry and frustrated because of Beck's letters and had become very tired of hearing Beck rant and complain in one fan publication after another. Although Don had respected and admired C.C. Beck for years, he now felt that Beck had "gone over the edge" with his feelings about the character. 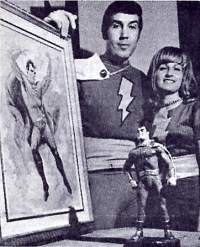 Don stopped any further communication with Beck and got on with his life, enjoying his time as the artist of his favorite character, Captain Marvel. Don was surprised, and even a little suspicious, in 1980 when Beck, then the Editor of the FCA newsletter, asked Don if he would do an interview and write an opinion piece on the new Captain Marvel. Don agreed and his return correspondence with Beck was cordial and friendly, even suggesting that Beck might work with Don on a time-travel story idea that would send Captain Marvel back to the 1940s. Don hoped that Beck might finally have come to terms with his issues regarding DC and Don’s version of Captain Marvel, and that they could now rekindle their former relationship as friends and fellow comics professionals. However, when Don's opinion piece, "The New Capt. Marvel," was published in the FCA/SOB newsletter #14, August 1980, his writings only fueled the fire within Beck. In the article, Don expressed the opinion that characters have to change over time or they will eventually become outdated. Although there is the likelihood that Beck might have been open to that concept, the way in which Don delivered his ideas squelched that possibility. Don opened his piece with, "I was one of the many who didn't like the revived Captain Marvel which DC put out in the early Seventies." Beck had to be devastated. The man he had handpicked to assist him in his quest to return Captain Marvel to greatness didn't like Beck's work on the strip? This was not the Don Newton that Beck thought he knew. Beck later suggested in one correspondence that, "DC had brainwashed Newton's thinking." Beck didn’t realize that Don’s comments were directed towards DC’s handling of the character, and their inability to decide whether the character should feature an updated look or not. Don was certainly not criticizing DC’s use of Beck himself, but the general mishandling of the character in the early scripts, which were not written by Beck. In response to Don’s comments, Beck put his own opinion piece in the same issue, on the page preceding Don's piece. In "Apples and Oranges" Beck chastised the creators behind the current Captain Marvel series (meaning E. Nelson Bridwell and Don) for not understanding the character, as well as for missing the point of the humor and the absurdities in the old books. He called the modern comics "garbled nonsense." Beck also pointed his poison pen directly at Don once again, decrying the "few cosmetic changes" made to the character. "They didn't bring back the old stories and characters at all. There is really no point in trying to compare the new Captain Marvel with the old one; they're like apples and oranges...which, by the way, is in the same family as the lemon." Beck sought to compare his style of art to that of Charles Schulz and Pablo Picasso, whose “crude, childish, ugly drawing” were selling for thousands of dollars. Then, knowing full well that comic book artists were never paid well, Beck tried to embarrass Don by asking, “You and your fellow cartoonist of today are no doubt making thousands of dollars with your beautiful drawing, aren’t you?” Beck was trying to say, “See, people who draw like me make lots of money and you more realistic artists don’t.” This was obviously a pretty misguided attempt to regain face on Beck’s part. In response to Beck's "Apples and Oranges" Don wrote to the publisher of the FCA Newsletter and said that not only did he not want the interview published, but he also did not want to have his name mentioned in the newsletter again. Don had had enough of Charles Clarence Beck to last a lifetime.